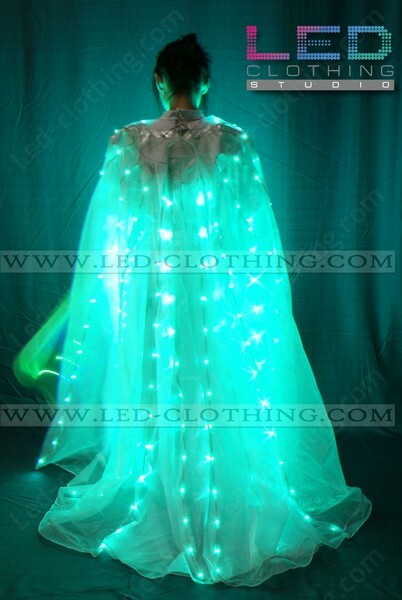 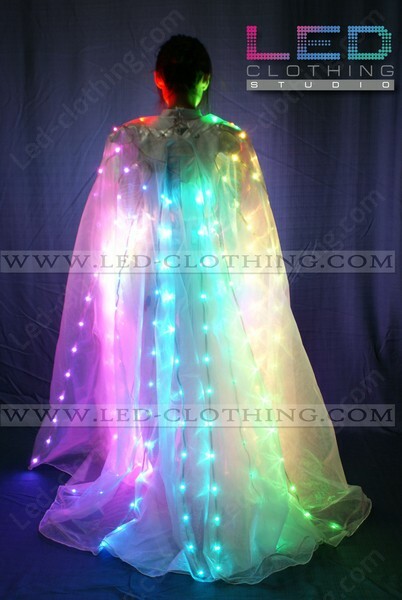 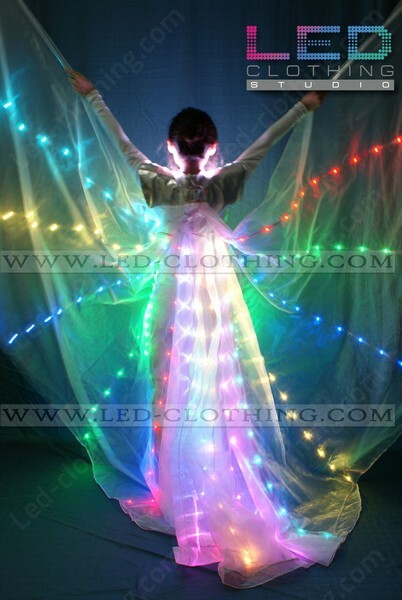 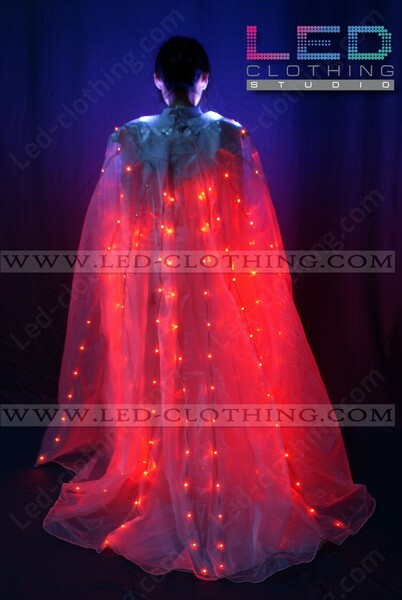 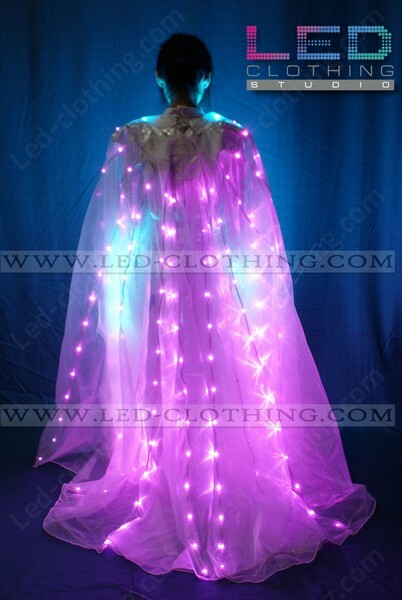 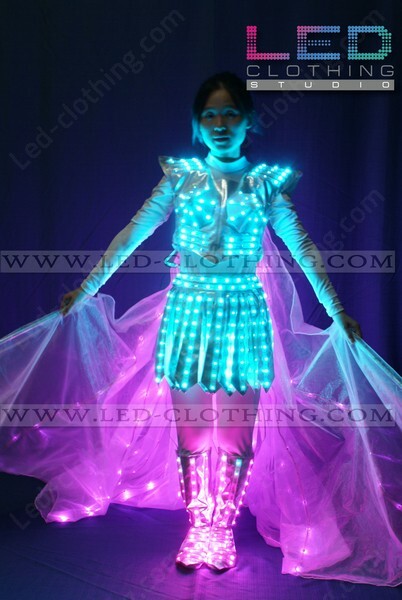 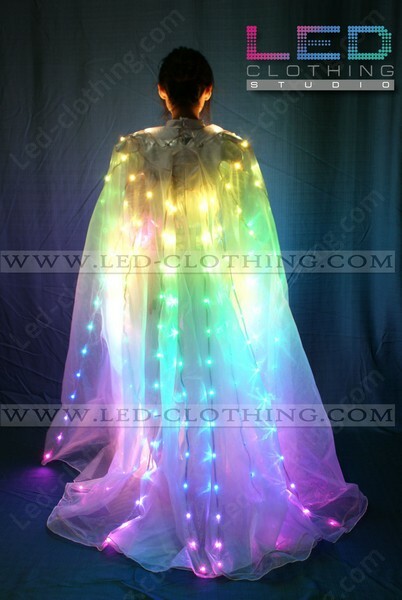 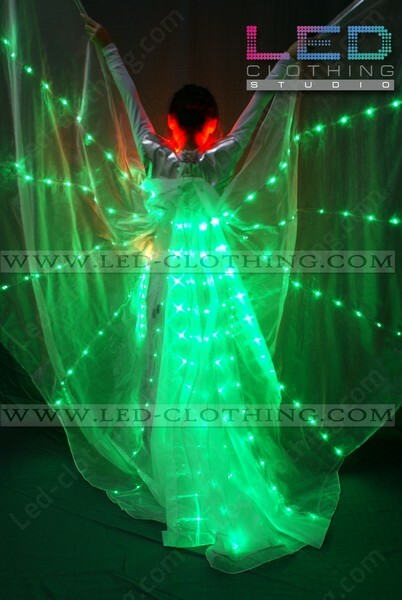 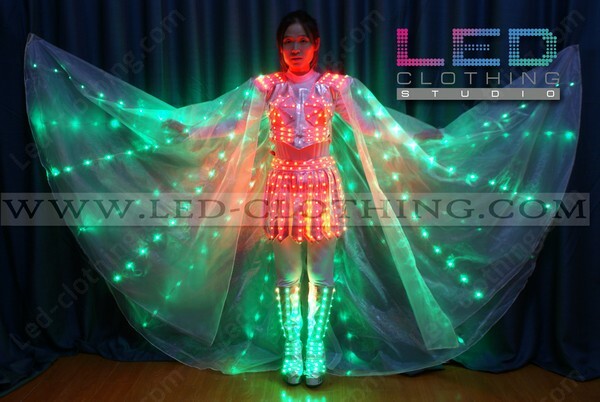 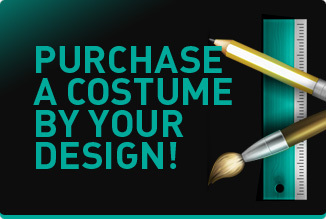 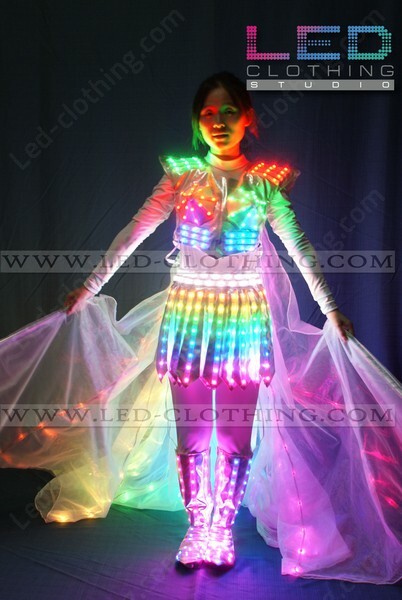 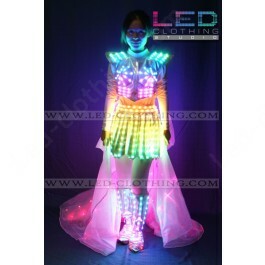 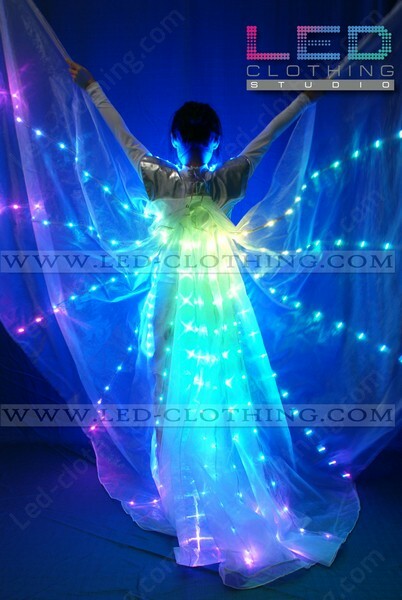 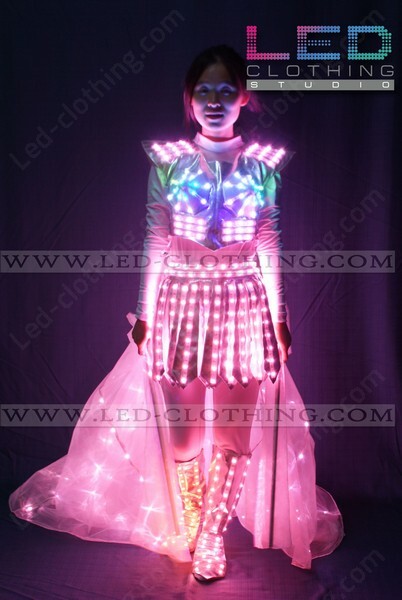 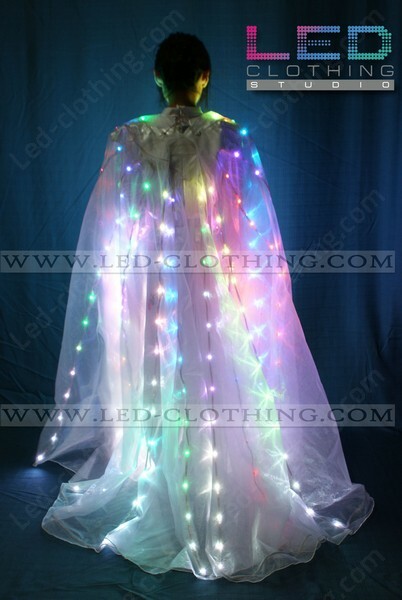 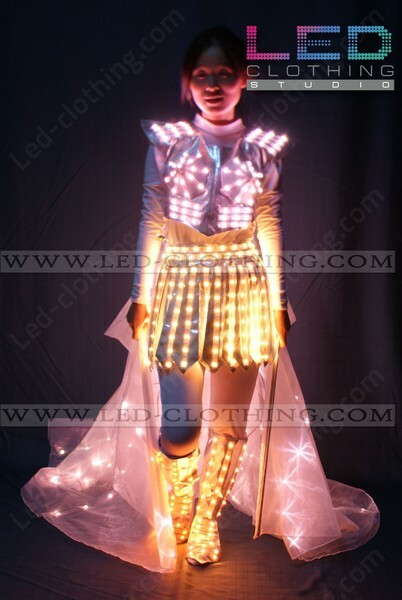 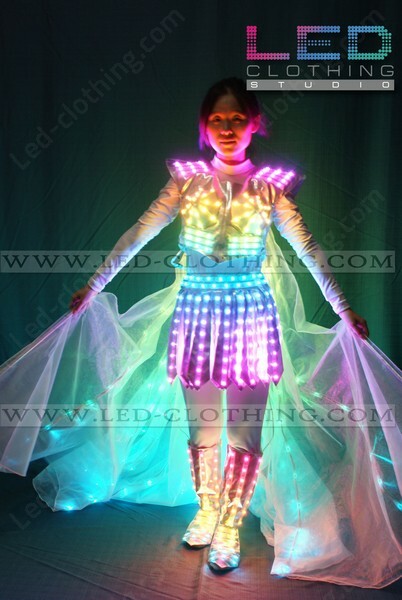 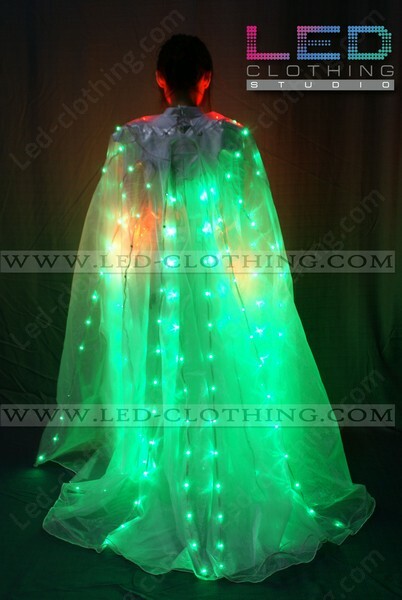 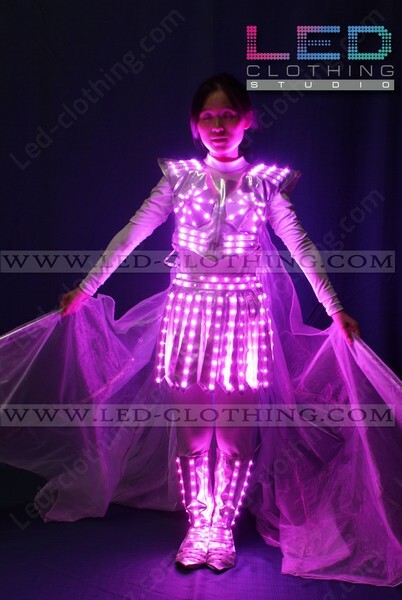 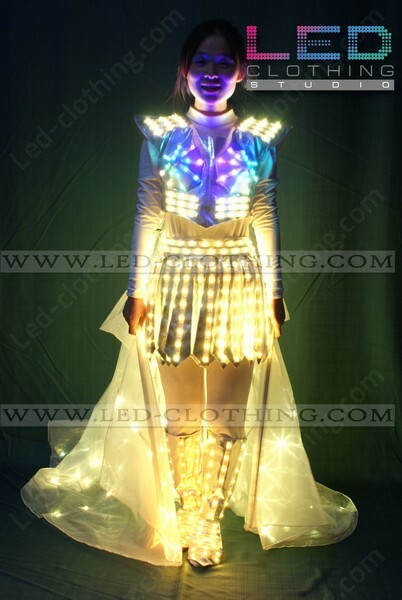 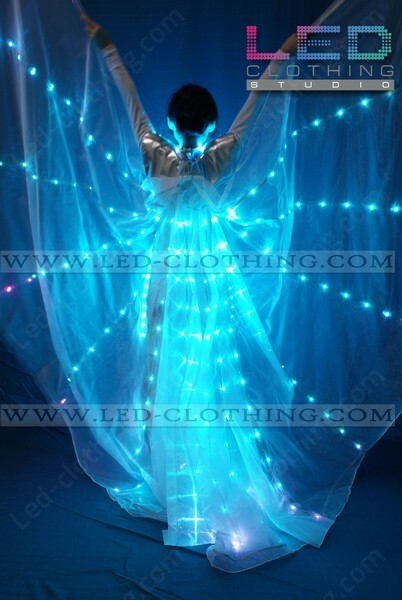 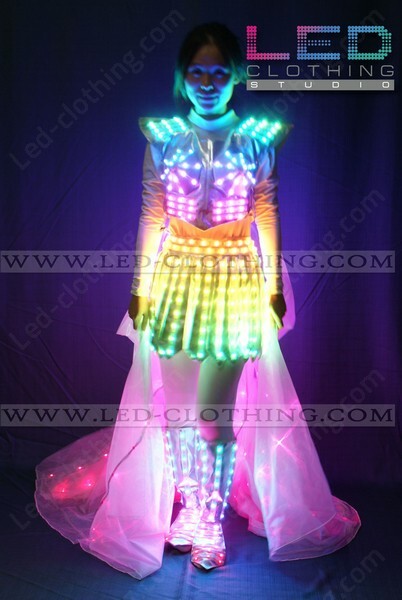 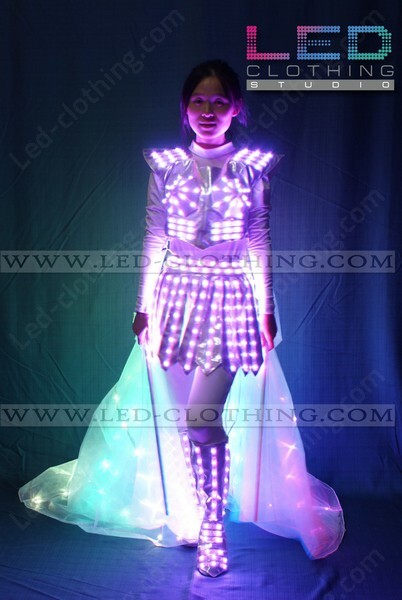 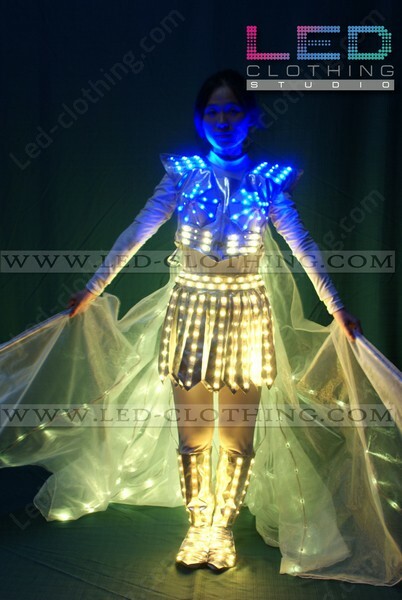 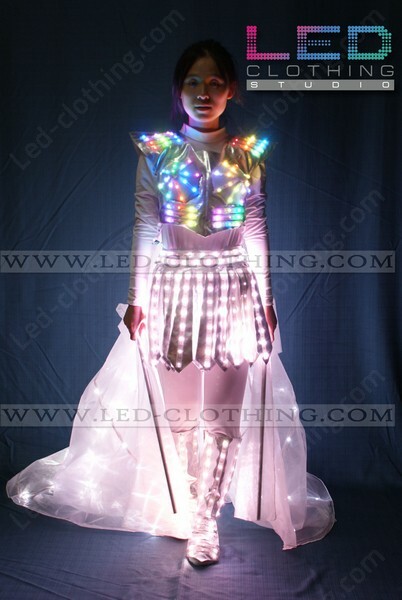 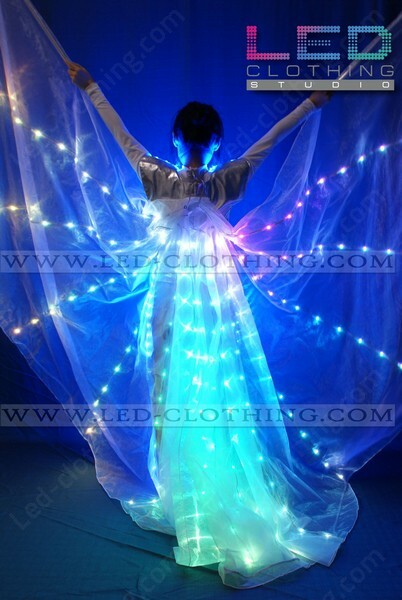 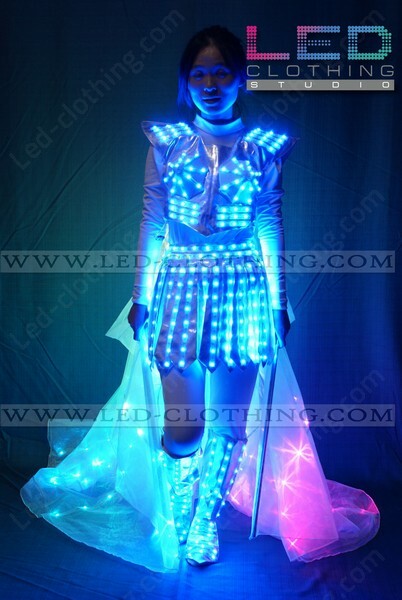 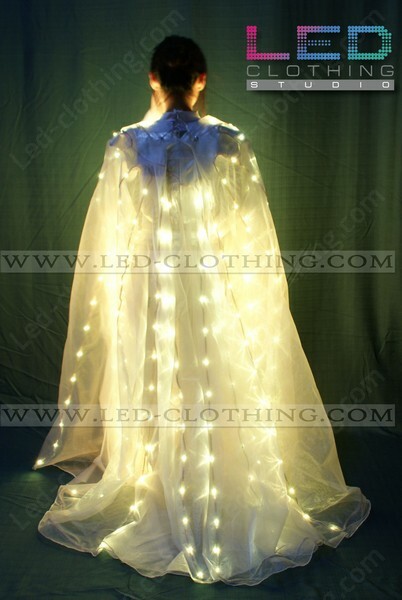 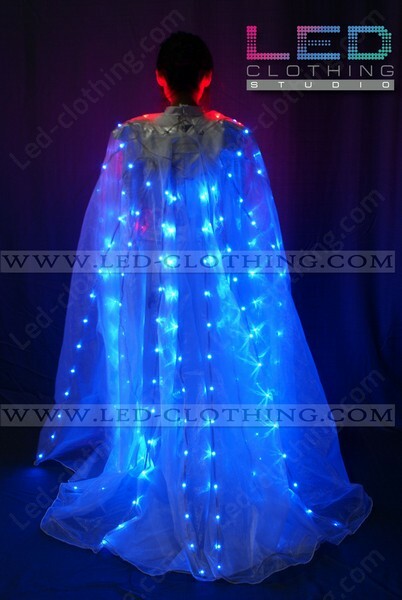 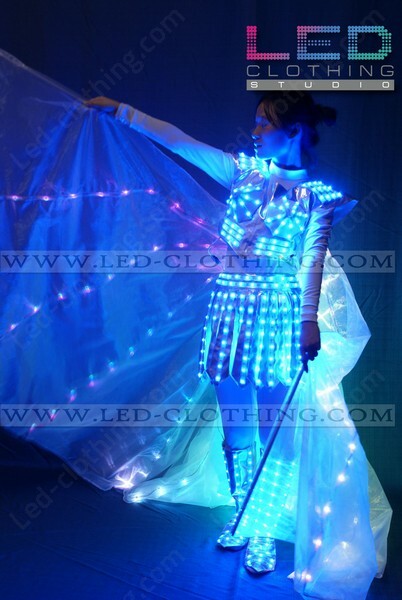 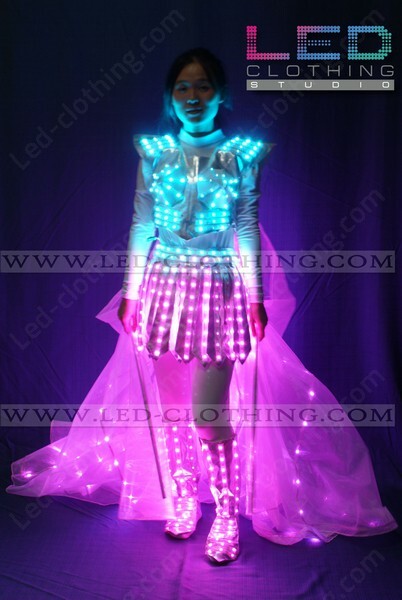 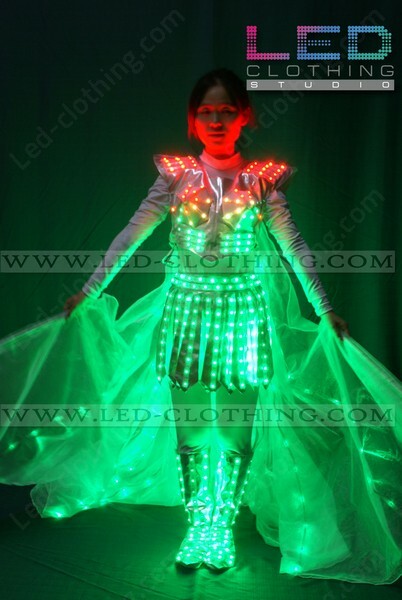 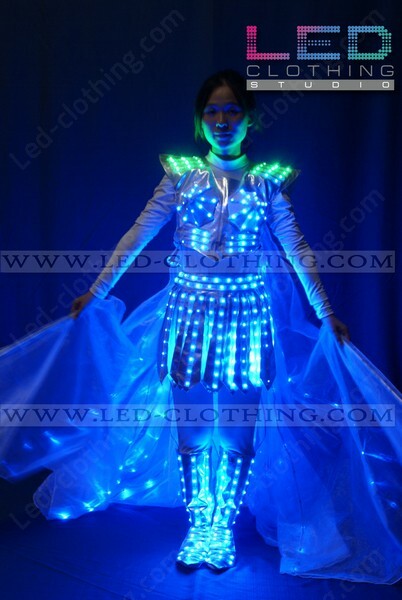 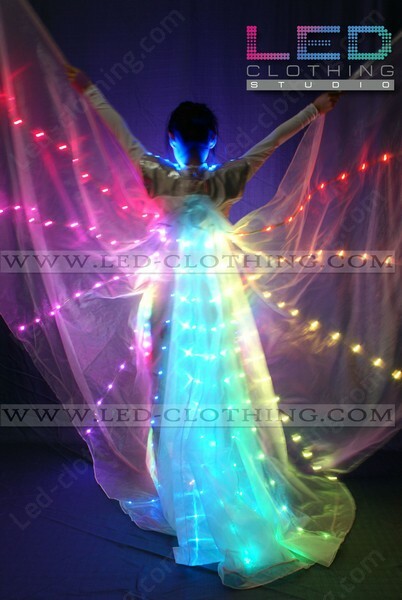 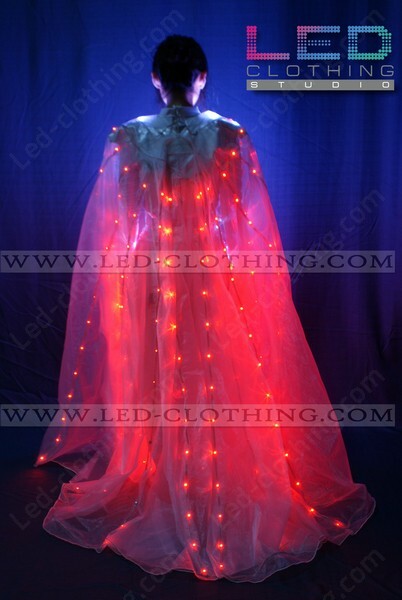 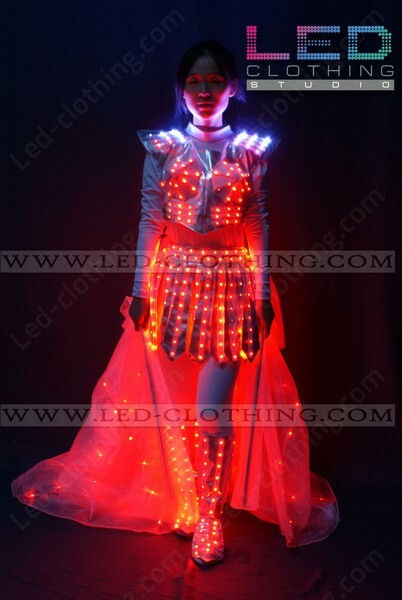 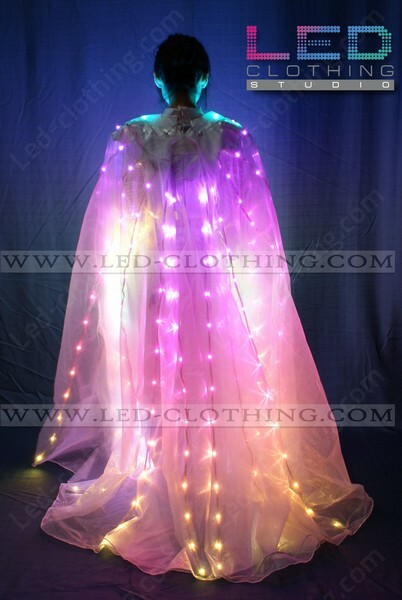 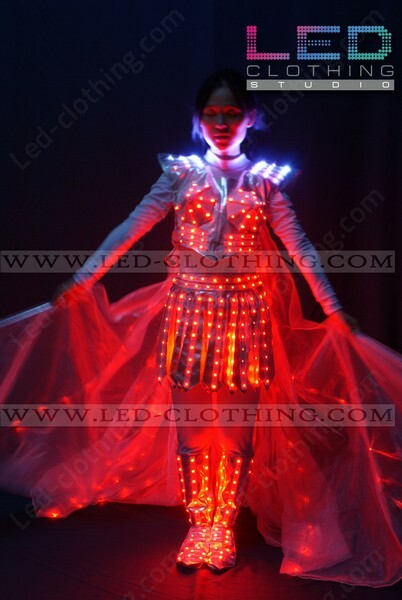 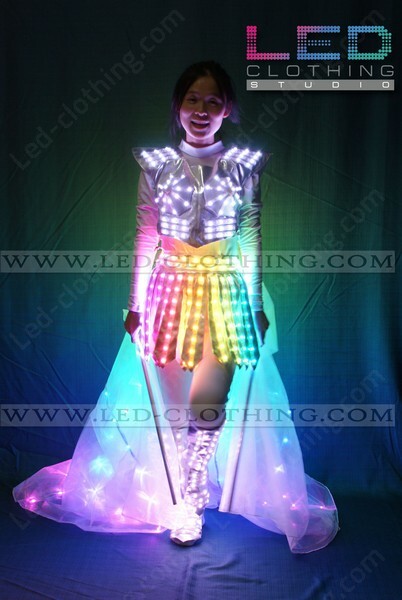 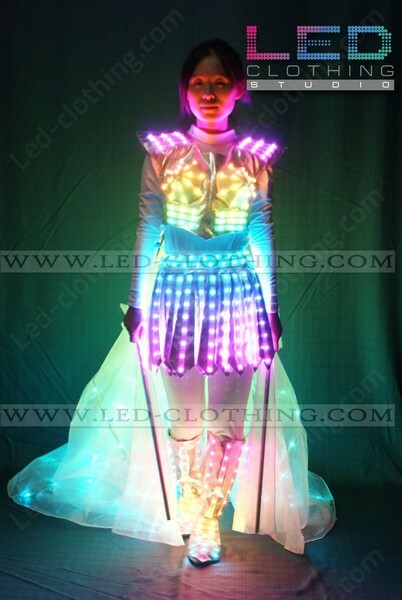 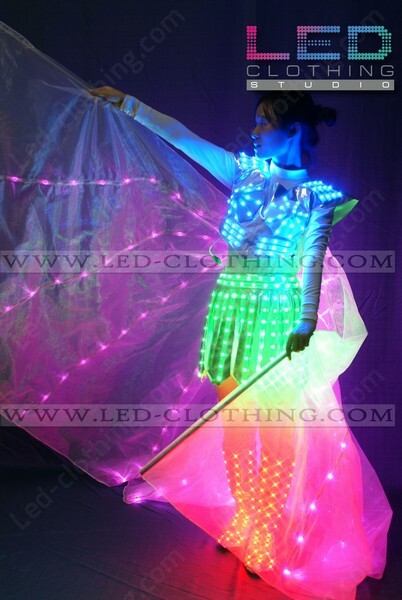 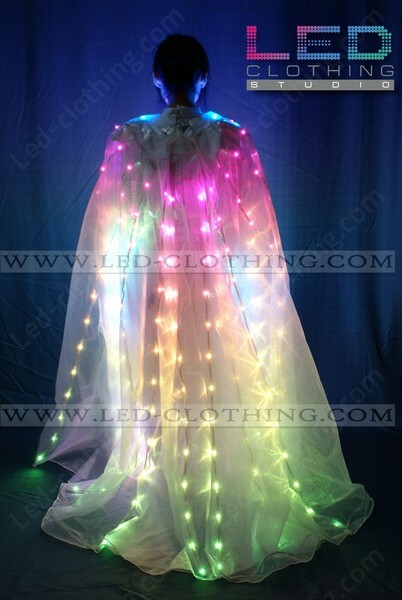 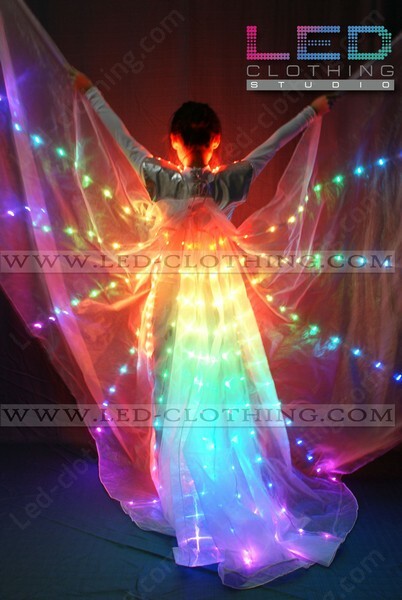 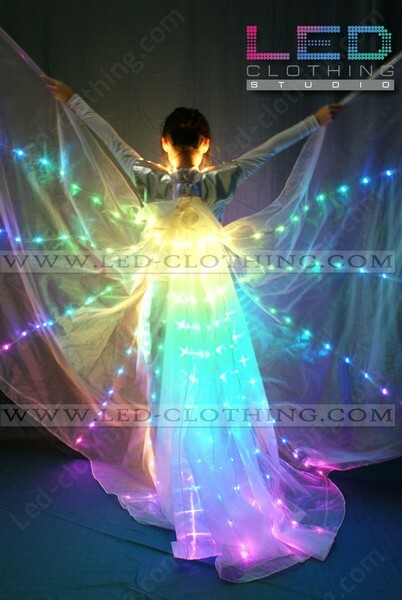 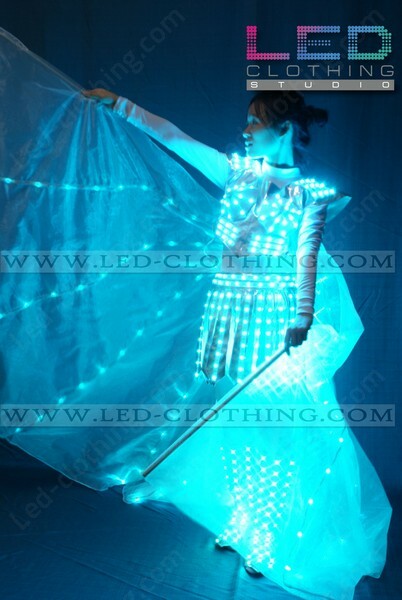 Magic Fairy LED costume | LED Clothing Studio Inc. Inspired by fantasy tails we created this awe instilling Magic fairy LED costume to astonish and surprise. 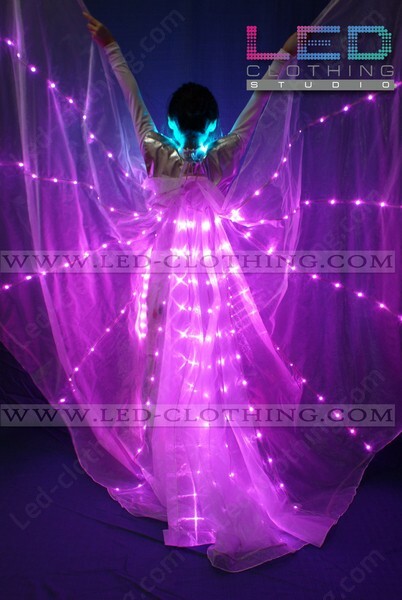 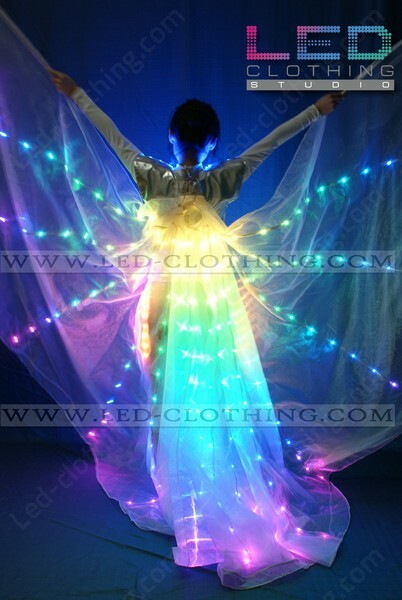 The Fairy Magic LED dance suit features an elastic jumpsuit covered with LED pads and a skirt, and on the top of that you get a marvelous cloak also riddled with super bright leds. 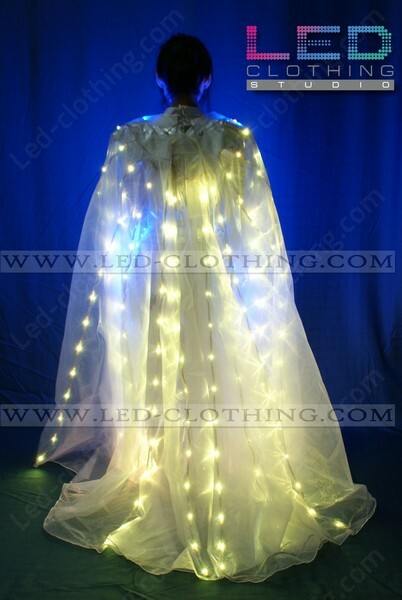 Spread the cloak open as wings or wrap your self up in it, the outfit will be a dazzling feature to any performance or show in the dark, just set the light pattern and make the most of it.